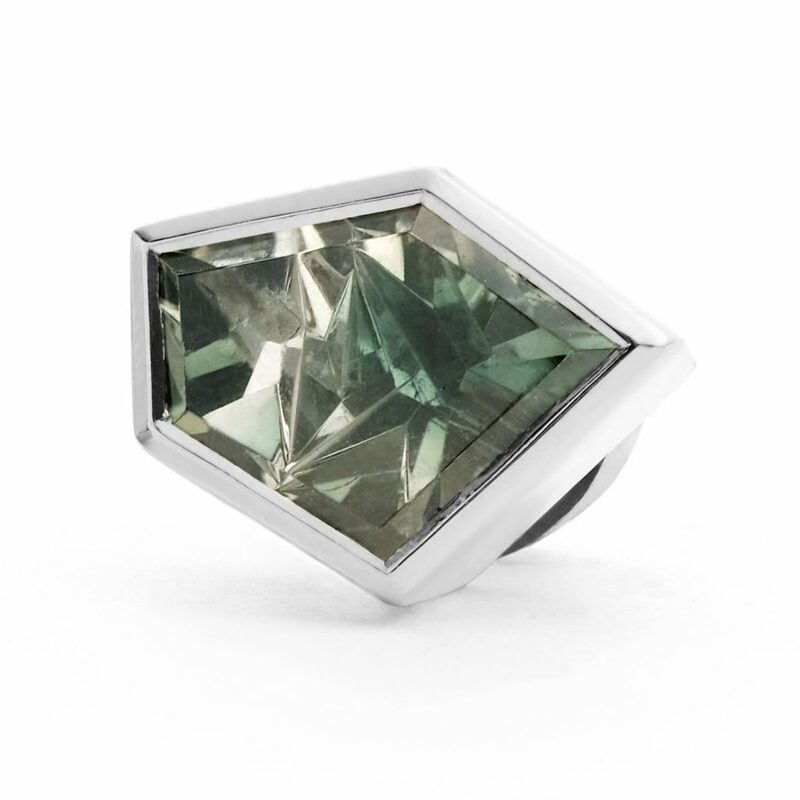 Fabulous, artisan cut, gemstones are the focal point of David Fowkes Jewellery. 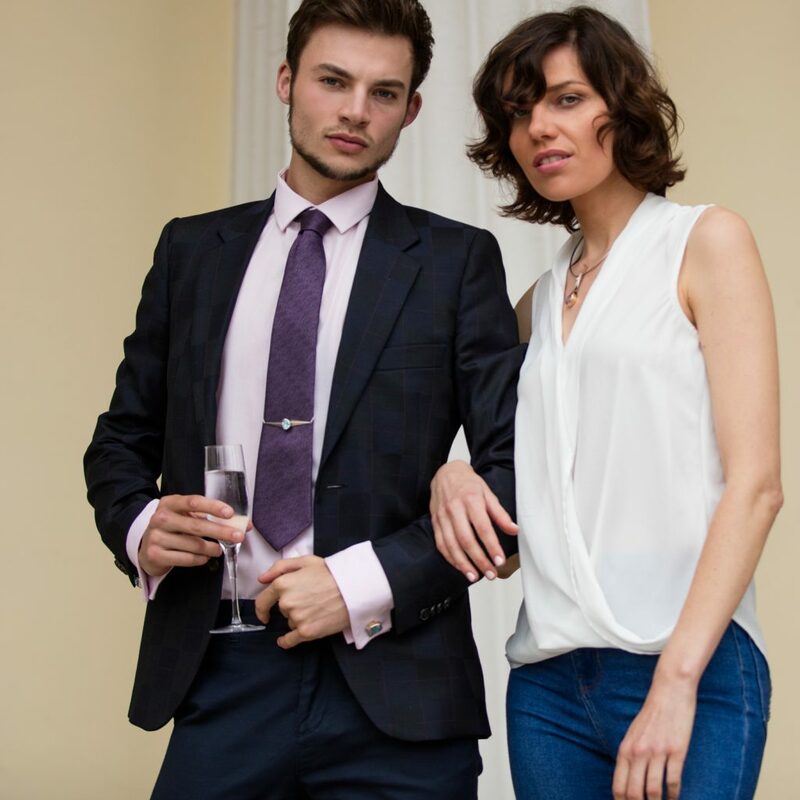 He has sourced a wonderful selection of stunning quality gems ready to create a sumptuous collection of jewellery for men. 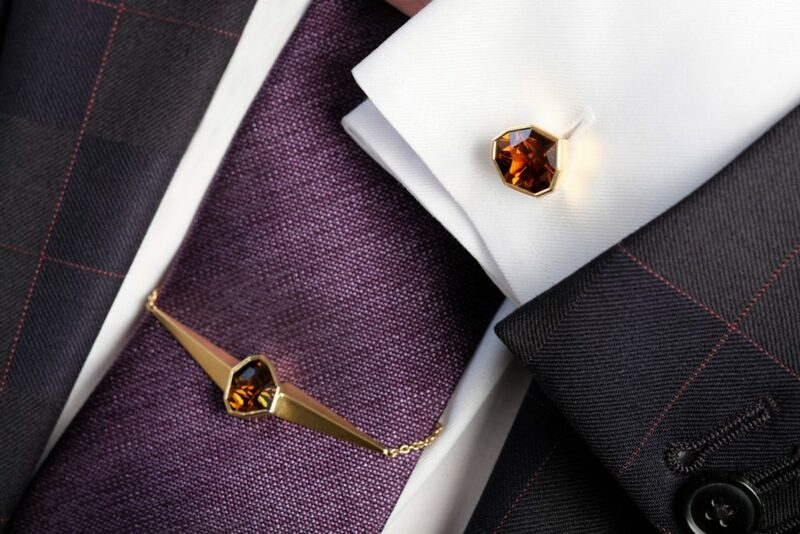 Using these gemstones, David has designed a unique range of cufflinks, tie slides, collar studs and lapel pieces. Each is a one-off: an individual design, perfectly aligned for each gemstone; entirely handmade, by our Goldsmiths, in our North Nottinghamshire workshop. David’s jewellery is truly customised to meet the needs of each client. 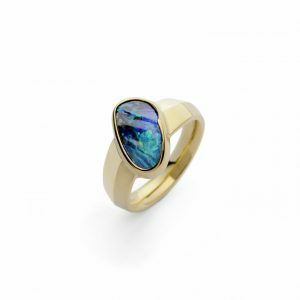 Every piece can be adapted to suit their needs, including: the size and colour of gemstone; type and colour of bullion; style of link and fittings. With each client, David creates a piece of personalised jewellery that will last a lifetime, be worn with pleasure, and appreciated by all. 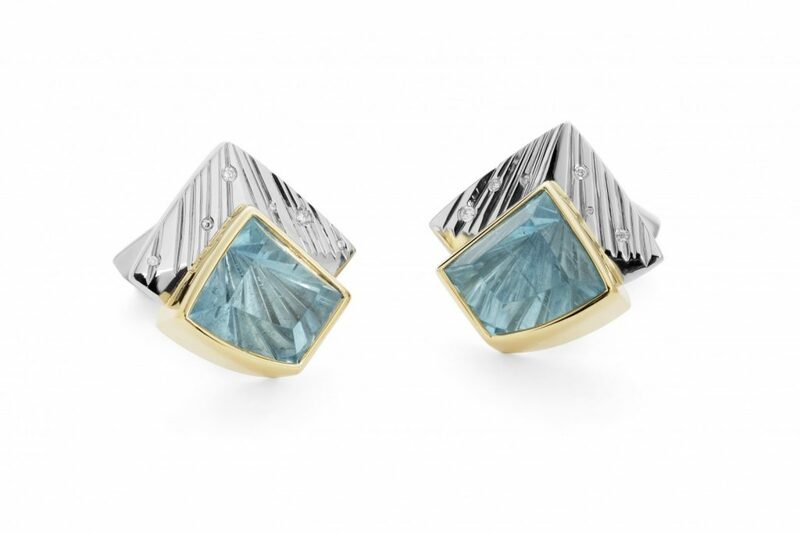 A pair of speciality cut aquamarine gems, set in 18ct yellow gold. The palladium textured detail includes twelve white diamonds, totalling 0.75ct. 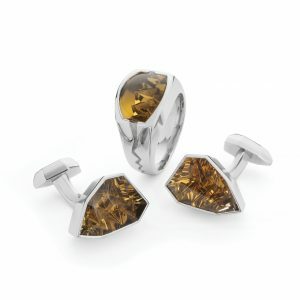 A pair of speciality cut smoky quartz gems, totalling 13.31ct, set in 18ct yellow gold. 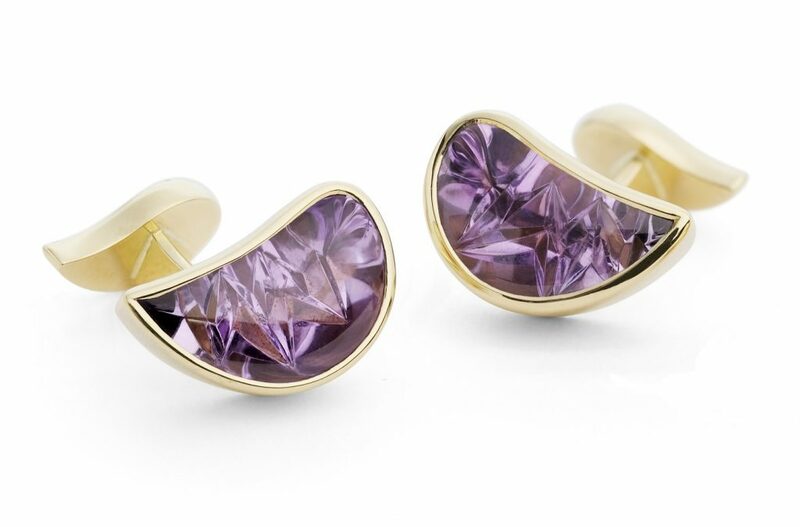 A pair of Amethyst gemstone cufflinks totalling 1.47ct, set in 18ct yellow gold. 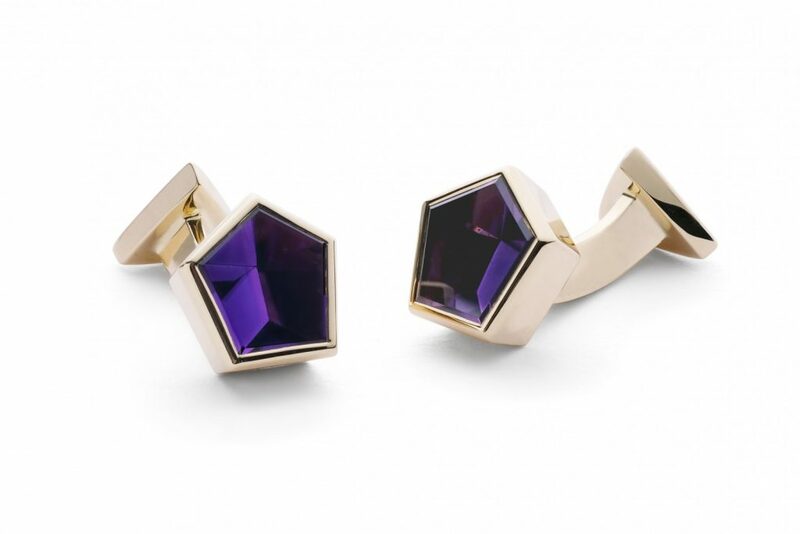 A pair of Amethyst cufflinks totalling 8.28ct set in 18ct yellow gold. 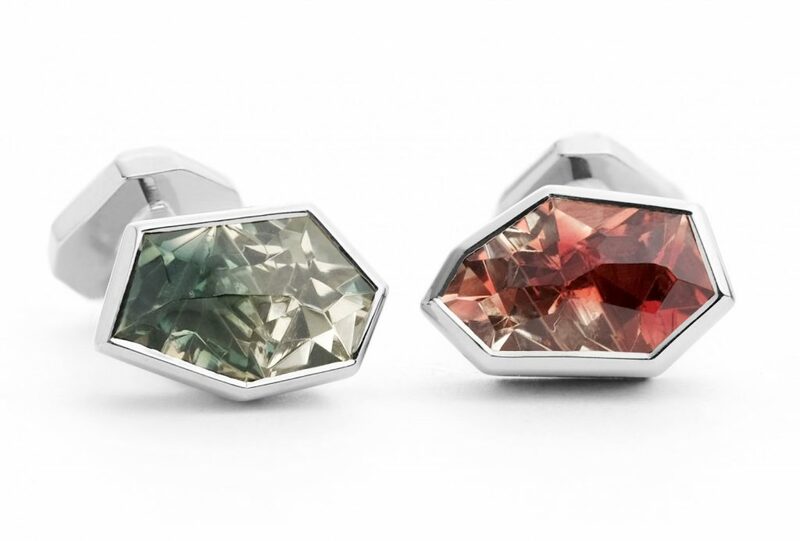 A pair of Oregon Sunstone cufflinks totalling 6.37ct set in 18ct white gold. 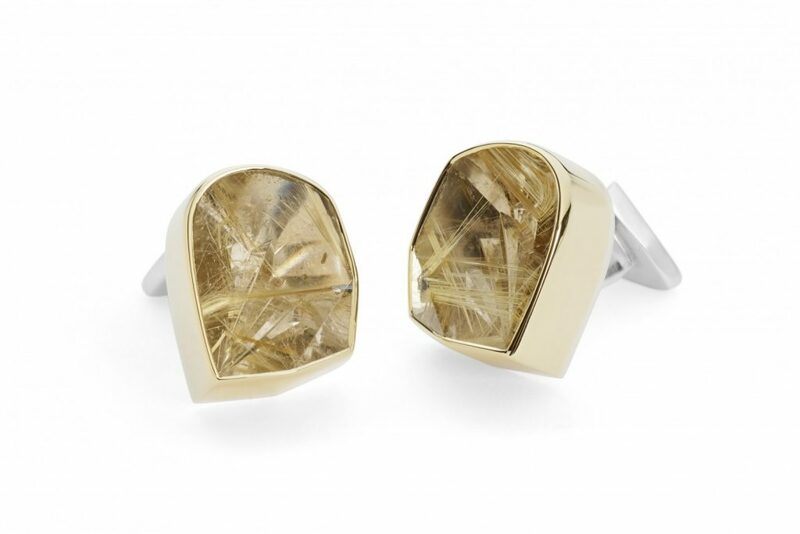 A pair of rutile quartz gems, totalling 17.79ct, set in 18ct yellow gold. A pair of speciality cut sky blue topaz gemstones, totalling 17.65ct, set in 18ct white gold. 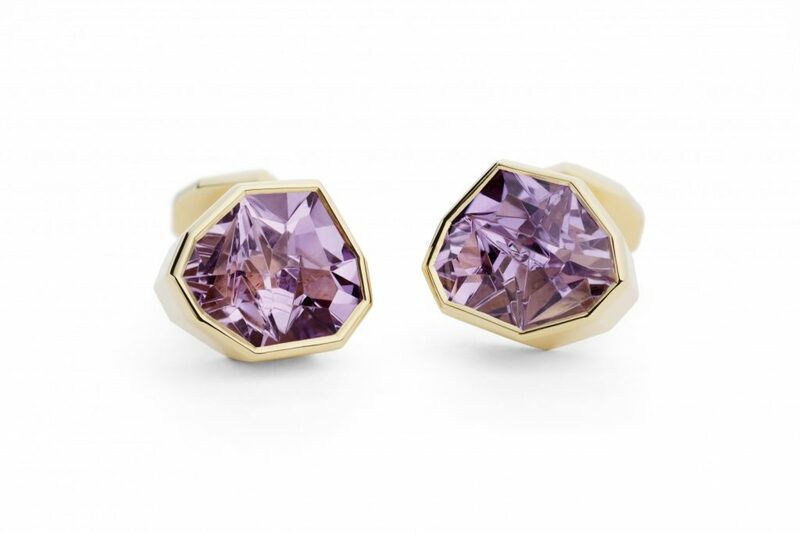 A pair of amethyst gemstones, totalling 5.14ct, set in 18ct yellow gold. 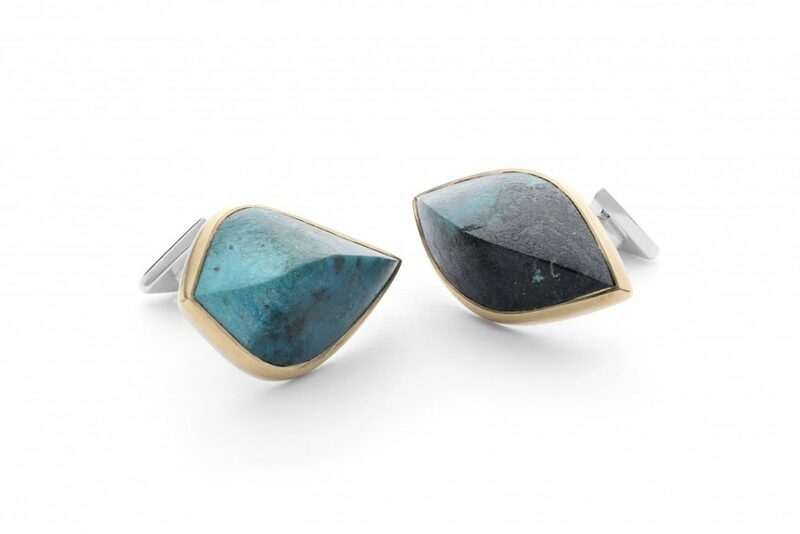 Chrysocolla, set in 18ct yellow gold, with silver backs, arms and base. 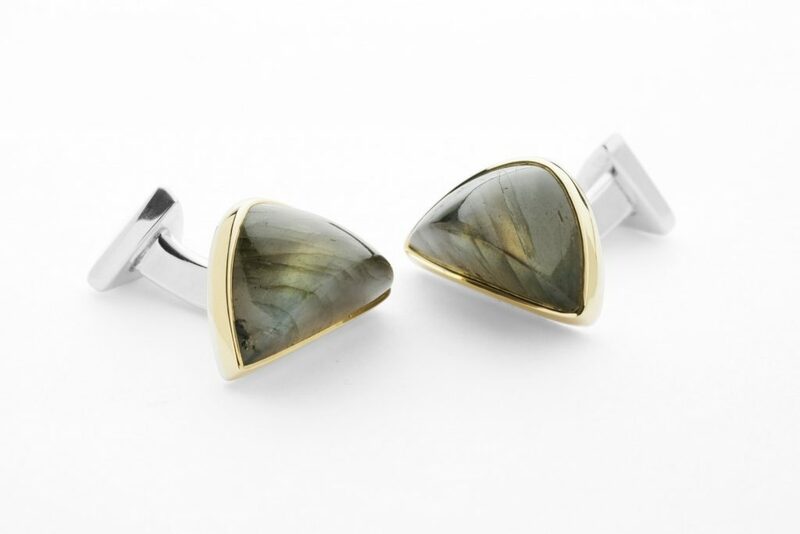 Labradorite, set in 18ct yellow gold, with silver backs, arms and base. 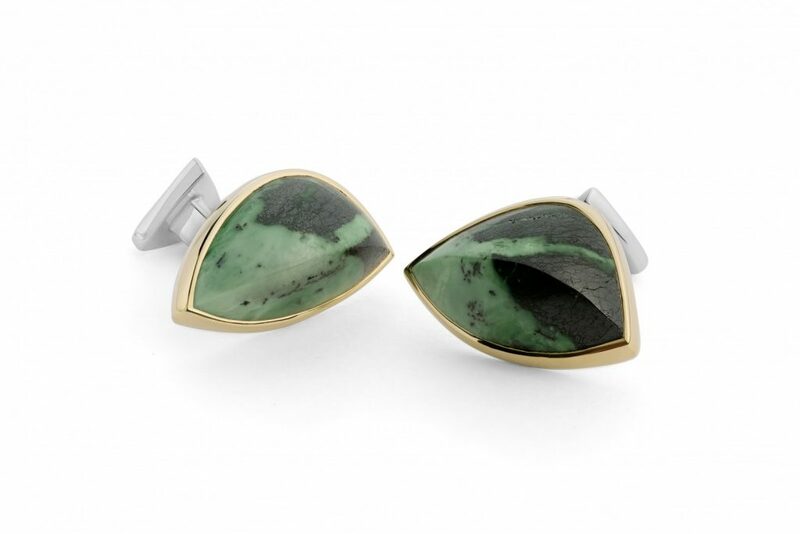 Chrysoprase, set in 18ct yellow gold, with silver backs, arms and base. 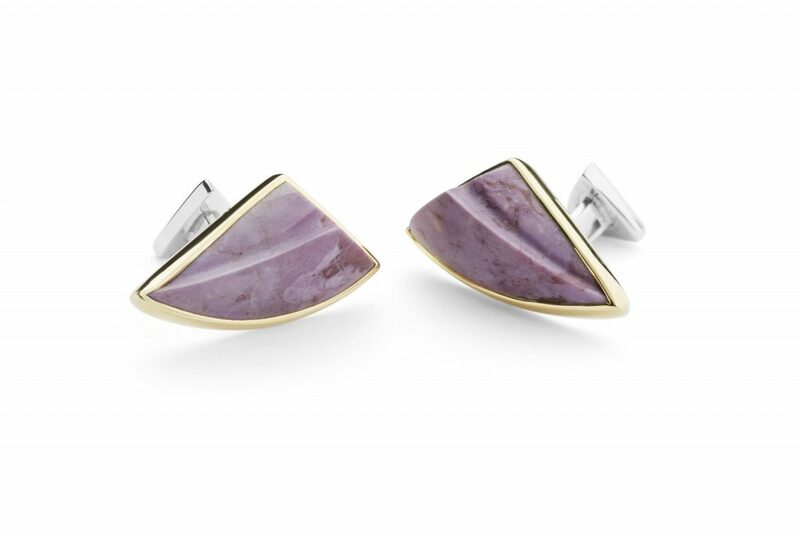 Lavender Jade, set in 18ct yellow gold, with silver backs, arms and base. 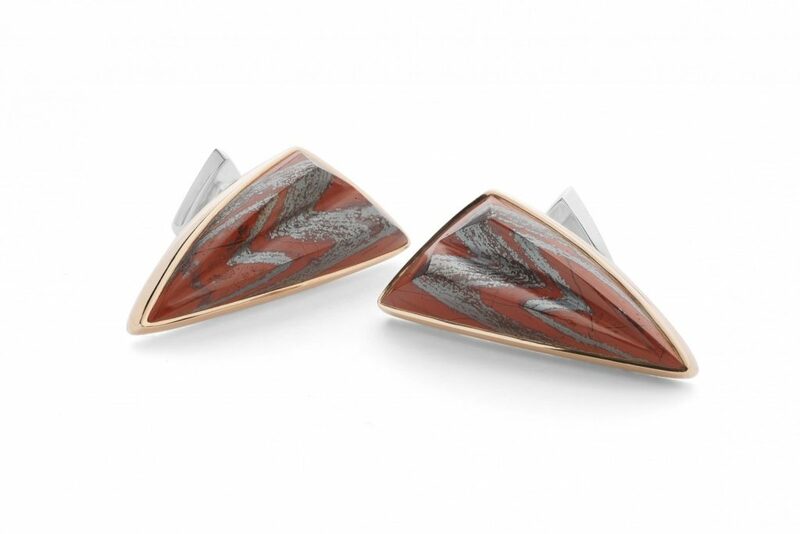 Red Jasper, set in 18ct rose gold, with silver backs, arms and base. 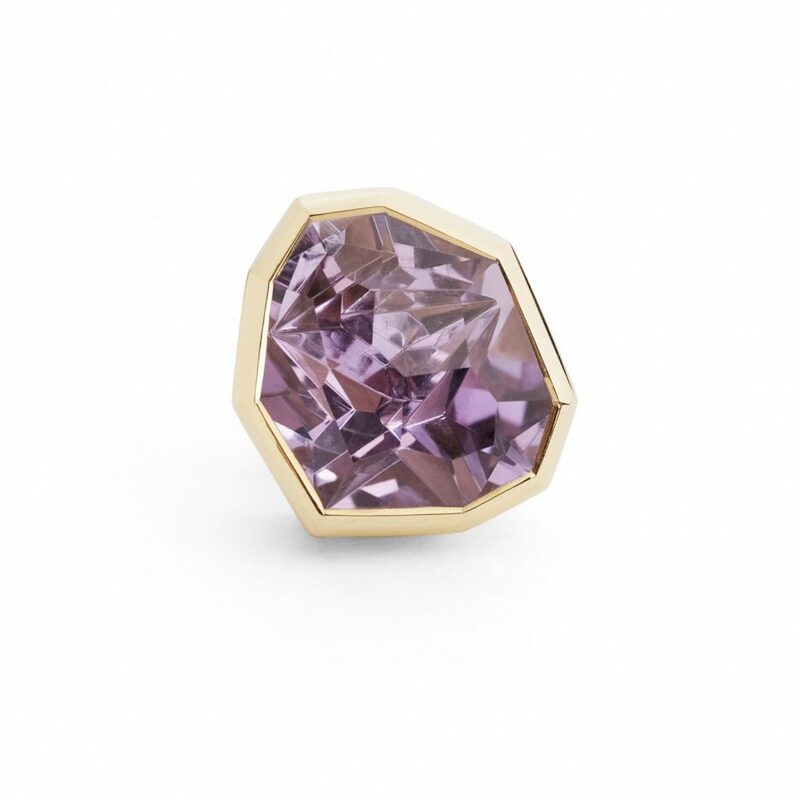 A 1.24ct Amethyst gemstone set in 18ct yellow gold. 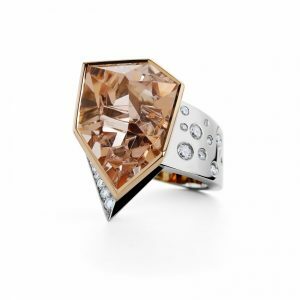 A 4.26ct Oregon Sunstone gemstone set in 18ct white gold. 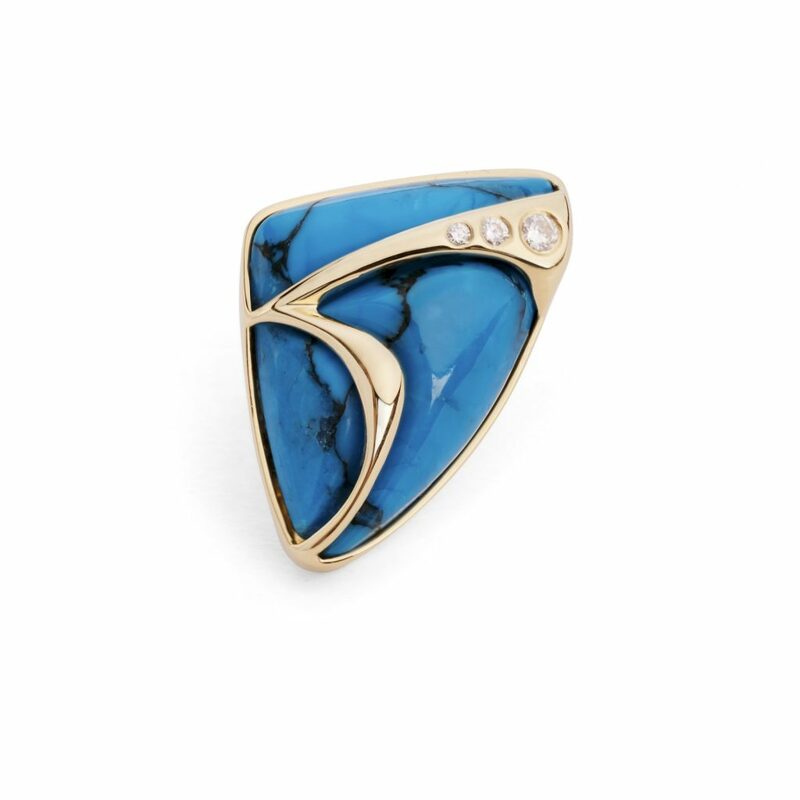 Turquoise, set in 18ct yellow gold, with three diamonds totalling 0.07ct. 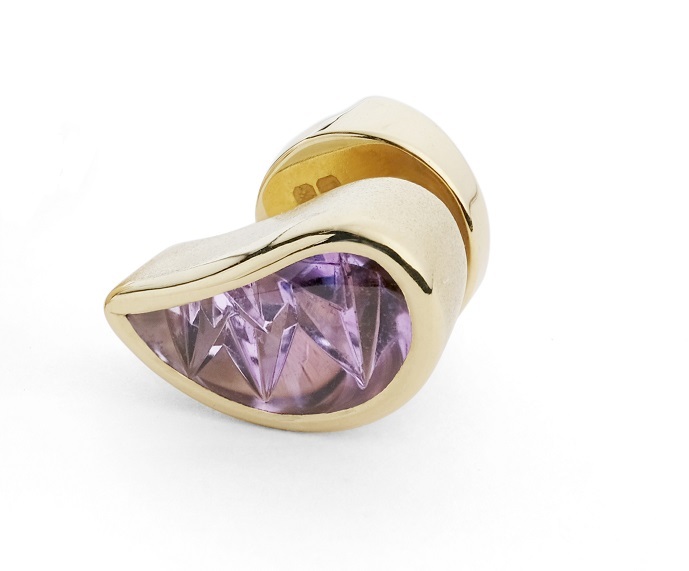 Amethyst, set in 18ct yellow gold. 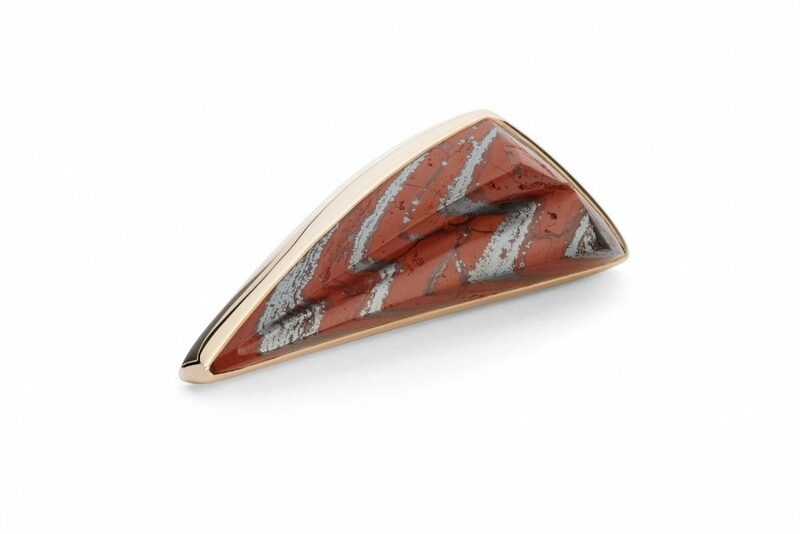 Red jasper set in 18ct rose gold on a silver spinner and base. A 4.09ct smoky quartz gemstone with 18ct yellow gold setting, arms, hanger, chains and jump rings. 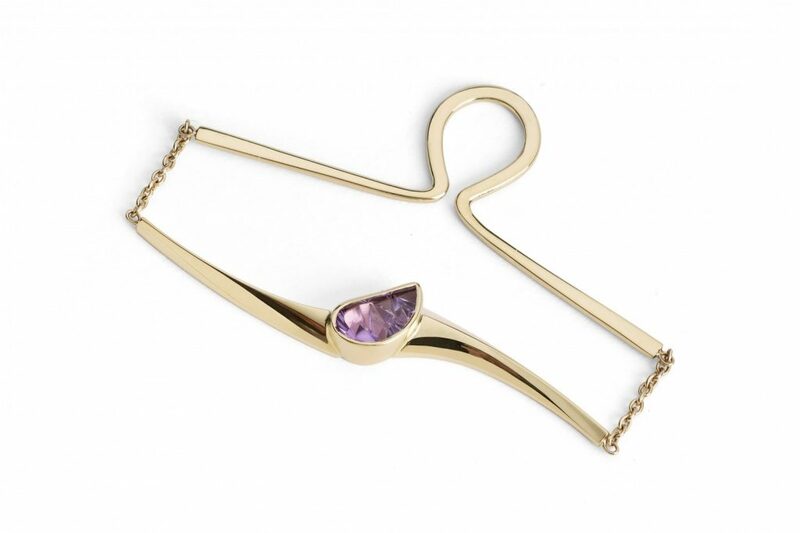 A 1.22ct amethyst with 18ct yellow gold setting, arms, hanger, chains and jump rings. 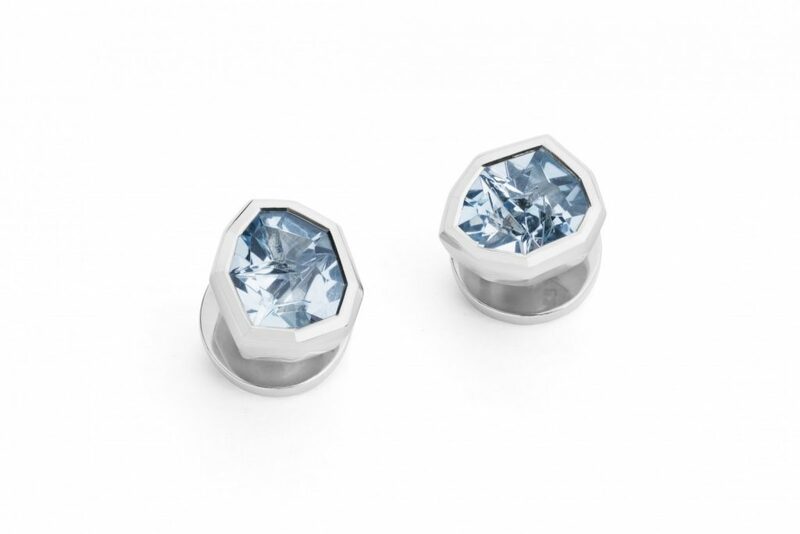 A 1.99ct pair of Blue Topaz stones set in 18ct white gold.